Some think it is and it’s not difficult to see why some people are thinking this, particularly as there has been a raft of law changes that make property ownership (certainly for investors) at lot less attractive. So, is the love affair with buy to let property over? Has the dream died or is it just sleeping? No one could have failed to notice the infatuation that British people have with property over the last 40 years, unlike our counterparts in Europe. Europeans have an entirely different attitude towards property ownership and even the types of housing they choose to live in. 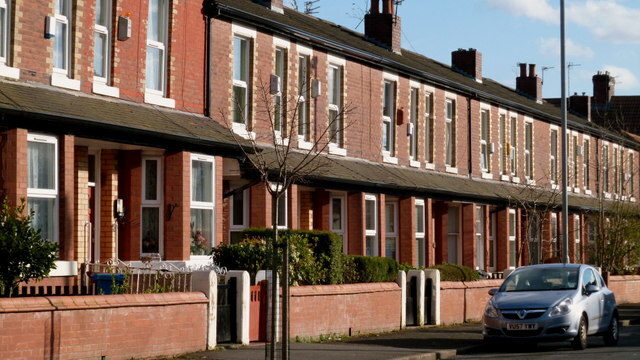 New figures recently released by ARLA Propertymark show investors selling buy-to-let, with. At the same time, fewer investors are being tempted into the market, preferring to wait until there is more clear evidence to either buy or to invest their money elsewhere. After more than twenty, sometimes frantic years the buy-to-let in vesting does not look anywhere near as attractive as it used to be. So, why has this happened? Well I can tell you that is was no accident. Former Chancellor George Osborne began his assault on the UK’s favourite investment a few years ago, with tax changes that are now coming into effect in the current tax year. The actual effect will probably not be felt until the first tax bill falls due for investors in January 2019. Osborne’s increased taxation actually started with last year’s stamp duty surcharge on second properties and the reduction in wear and tear allowances. This April saw the scrapping of higher rate tax relief on mortgage interest repayments (Clause 24). Although currently looking like it has been shelved due to the election, it is likely that there will be a ban on letting agent fees at some point in the next Parliament. Furthermore, the Prudential Regulatory Authority have forced lenders to impose more stringent affordability tests on buy-to-let applicants. It’s hardly surprising that some investors have got cold feet. Landlords have long been purchasing properties at the expense of first-time buyers, usually competing for the same types of properties. If landlords start to leave the market, there is the possibility that first times buyers will be able to get a foothold on the property ladder. I personally remain unconvinced, as many millennials, do not want to buy property, preferring the freedom to move and travel the world. Only time will tell, if I am proved right or wrong. If not property, then where should I invest? Given the issues that now face property investors, traditional investing now looks more attractive than ever. But I hear time and time again from property investors, that you can’t make money from the stock market. I beg to differ and many investors would agree with me. The stock markets have quietly been beating the housing market for years. House prices rose just 3.5 per cent over the last year, according to Halifax, while the FTSE 100 grew a whopping 19.7 per cent. That’s just 1 year I hear you say. Not so, the FTSE 100 has risen by 53% over five years against just 36% for house prices, and has triumphed by 69% to 14% over 10 years, according to Fidelity International. Better still, investors can take those returns free of income and capital gains tax inside the annual £20,000 ISA allowance. The only clear advantage that buy-to-let can has over conventional investing is gearing. In simple terms, buy to let allows investors to borrow to invest. However, with the recent tax changes, will gearing of property investments become the Achilles heel for investors? There is every chance that it will, unless there is a change the direction of legislation. If you are an investor looking to increase your wealth and financial freedom, please get in touch for a no-obligation meeting. Go to our website www.miadvice.co.uk and contact us via our “Get in touch” form on our home page or Contact Martin Dodd on 01902 742221.